The SLC Arts Member Show closes THIS Friday, August 4th. *A list of all pieces and prices is available here . The Art Museum at SUNY Potsdam hosts the SLC Arts Member Show at the Gibson Gallery in Brainerd Hall; all are welcome to a Meet-the-Artists event on Friday, July 7, from 5:00 to 7:00 pm. Live jazz music by Church, State, and the Private Sector will accompany the art opening from 5:30 to 6:30 pm. Angela Ballou, Kevin Beary, Iggy Beerbower, Irja Bodén, Eileen Boots, Nancey Brackett, James Bullard, Anne L. Burnham, Joshua Crabtree, Kasarian Dane, Eric Fisk, Ruth A. Freeman, Betty Graham, Mary Harding, Sally W. Hartman, Jennifer Henry, Heron Hetzler, Sally Kirby, Elizabeth LaBarge, Suzanne Langelier-Lebeda, Catherine LaPointe Vollmer, Ronald Larsen, Nan Lazovik, Klara Lovass-Nagy, Sara E. Lynch, Suzan L. McDermott, Kathy Montan, Peggy Mooers, Ellie Morgan, Jim Murray, Dawn Ogrodnik, Bill Parmer, Beverly J. Patchin, Paul N. Pedersen, Thomas Robarge, Jr., Kristen Rozelle, Jane Sheehan, Donnalyn Shuster, Kelly Sweno, Paula Towne, Raymond J. Whalen, Robert Wheeler, Jan Wojcik, Sandra A. Young, Christine Zavgren. During the Meet-the-Artists event, one of these artists will be presented with a $100 cash prize for “Best in Show,” sponsored by the North Country Art Teachers’ Association. 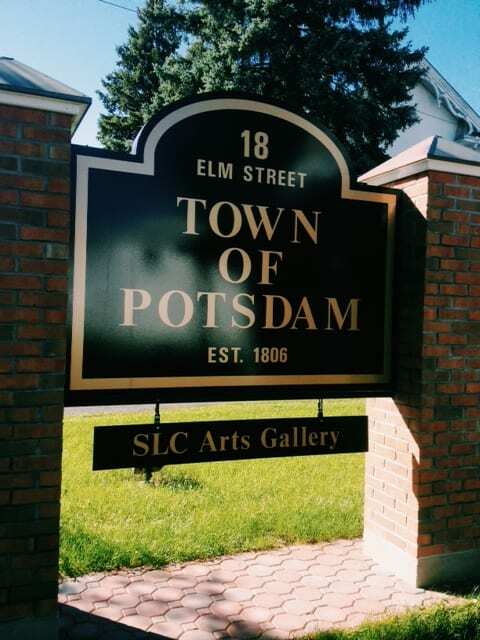 Visitors to the exhibit will have the opportunity to vote for their favorite piece of artwork; the piece which receives the most votes by the close of the exhibit on August 4 will win the “People’s Choice” award and receive a gift certificate donated by the Potsdam Chamber of Commerce. This event and the exhibit is free, open to the public, and wheelchair accessible; it will be on display Mondays through Fridays from 1:00 to 4:00 pm through August 4, or by calling The Art Museum at 315-267-3290 for an appointment. Sales of art benefit the artist and SLC Arts. A list of all pieces and prices is available here . For more information about this exhibit, contact SLC Arts.